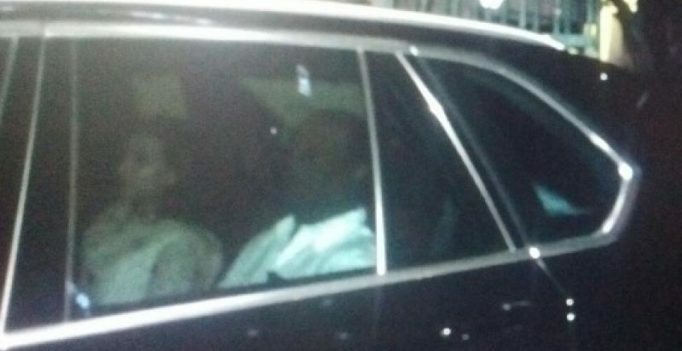 Chennai: Tamil film superstar Rajinikanth accompanied by his elder daughter, Aishwarya R Dhanush on Sunday visited Apollo Hospitals and enquired about Chief Minister Jayalalithaa’s health. Rajinikanth and Aishwarya were at the hospital for about 20-25 minutes, hospital sources said, adding, they enquired about her health. The 68-year-old AIADMK supremo was admitted to hospital on September 22 after she complained of fever and dehydration. Meanwhile, reports said a team of specialists from Mount Elizabeth Hospital, Singapore, has arrived at the Hospital to examine Jayalalithaa. However, when contacted, sources at the Apollo Hospitals declined to confirm it.